Creative Montage: Save the Date SALE!!! 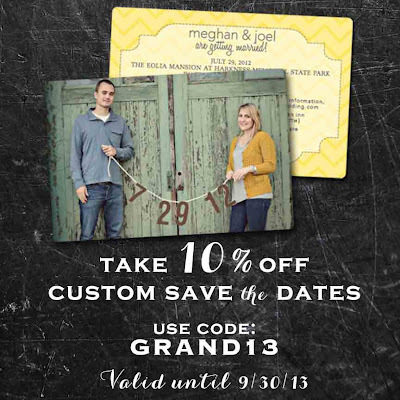 For a limited time, you can get a fab discount on CUSTOM save the dates: any style, any quantity! This is perfect for any winter and early spring brides looking to get a jump on their stationery for the big day! So click on the image above to be brought to our save the date section on our website, where you can place an order and input the super special code and VOILA!